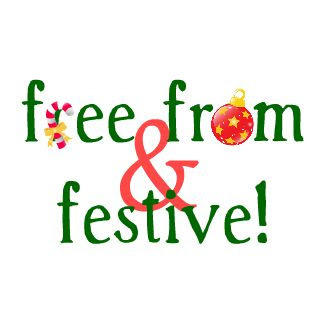 Gluten-free[k]: Free From & Festive! Fearful of facing free-from festivities? In need of your very own gluten free fairy godmother? Not Christmas without mince pies? Feeling Scrooge-like without your Yuletide staples? Was Last Christmas a Blue Christmas? Worry no more! Much like Clarence to George Bailey, we are here to convince you that even without gluten you can still have A Wonderful Life. From 12th December until Christmas Eve, my favourite GF bloggers will be sharing recipes and reviews to bring all you want for Christmas. I've made a list (and checked it twice) to help you find your Christmas classic. Come back each day for the links and you'll have A Wonderful Christmas Time! Here is the round-up of the great bloggers who are making your gluten free Christmas sparkle! Thanks also to Becky at Dietary Specials and Sean at Punk Domestics for their help and support. Can't wait to see all the recipes!